One of the most iconic music manuscripts, the Eton Choirbook is of unique importance, both in its own right as a cultural artefact and as a source of English choral polyphony composed during the late fifteenth and early sixteenth centuries. Had it perished, along with so many other (less fortunate) pre-Reformation music manuscripts, our knowledge of a critical moment in the history of English music would have been immensely diminished. Ever since it was first copied for use in the college chapel in the early 1500s, the choirbook has been continuously in the possession of Eton College. Several composers whose works were included in it had close associations with the college, not least Robert Wylkynson, who served as the college’s informator choristarum from 1500. Other composers represented include Banastre, Browne, Cornyshe, Davy, Fawkyner, Fayrfax, Hygons, Lambe and Turges. Most of its original contents (67 out of a total of 93 pieces) were votive antiphons, or devotional motets of prayer and praise, sung each evening to the Virgin Mary, the college’s dedicatee. The Salve ceremony, familiar to worshippers throughout Catholic Europe, lay at the heart of Eton College’s raison d’être as a chantry college: the Eton Choirbook is an eloquent witness to this flowering of devotional culture on the eve of the Reformation. The manuscript is also a work of consummate artistry, copied by an experienced scribe on large vellum leaves, and illuminated by a professional limner. 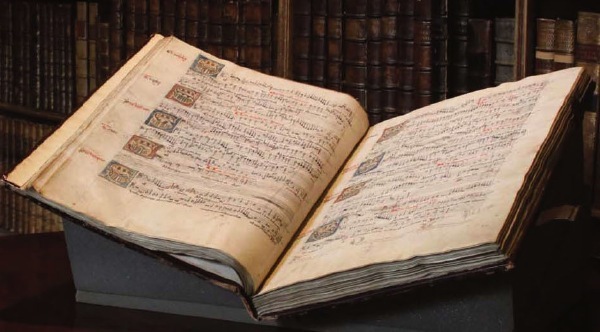 Even in its incomplete state —nearly half of its original 224 leaves have been lost— the Eton Choirbook is the undoubted queen of early Tudor music manuscripts. 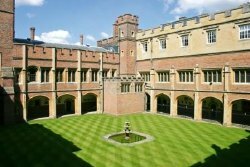 Eton College Library is a rare book and manuscript library of national and international significance. 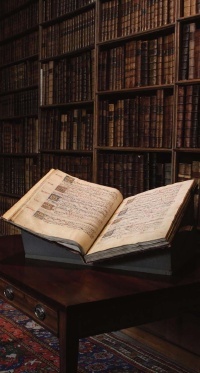 It houses more than 150,000 printed and manuscript volumes, literary manuscripts, autograph letters, prints and drawings, which range in date from the 10th to the 21st centuries. The Edition: Full color facsimile on heavy matt art paper, hardbound, with an introduction by Magnus Williamson (Newcastle University). 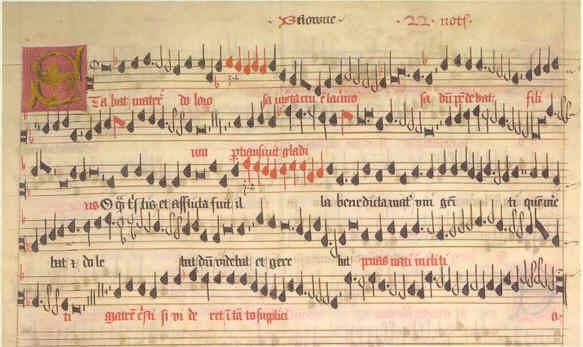 Published by the Digital Image Archive of Medieval Music (University of Oxford). 60 pages (commentary) + vi + 252 pages (facsimile) + vi; format 42,7 x 30.6 cm (originally 59 x 42 cm).